Nandi was born on July 2, 2018 to mother Linda and father Stormy. 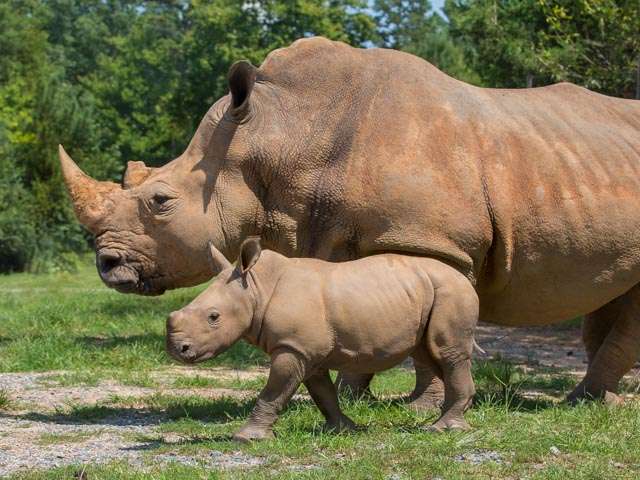 This was the first southern white rhinoceros born at the Zoo in 41 years. Nandi weighed in at around 90 pounds at birth, and will gain 100 pounds a month in the first year. 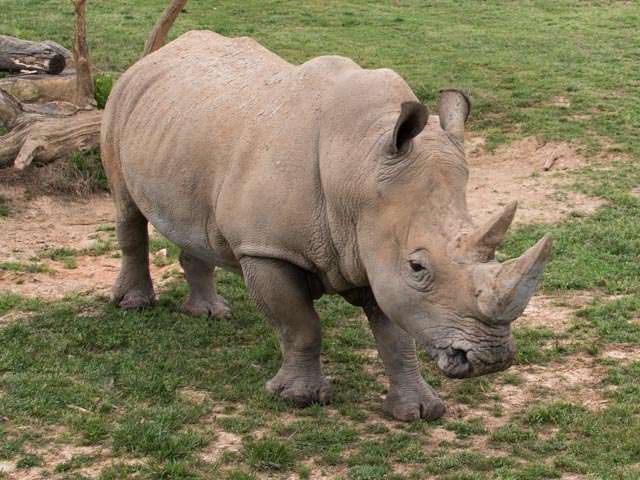 The North Carolina Zoo is committed to being part of rhinoceros conservation initiatives both within the zoo community and internationally in order to ensure the survival of this species. Bonnie was born on July 13, 2018 to mother Kit and father Stormy. She was named by her zookeepers in honor of longtime Zoo supporters. Bonnie was born 11 days after her half-sister, Nandi, and they both can be seen on the expansive Watani Grasslands habitat in the Africa region. 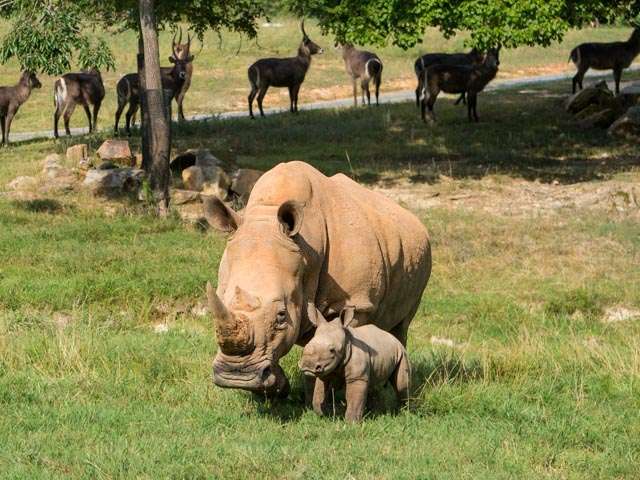 The birth of Bonnie brought the number of southern white rhinoceros at the Zoo to nine, with seven on public view at the Watani Grasslands and two older rhinos in an off-viewing retirement habitat. Stormy, a male rhinoceros at the Zoo, is the father to both Nandi and Bonnie. Stormy came to the North Carolina Zoo in 2014 to be with the four female rhinoceros—Linda, Kit, Natalie and Abby.